Call or email us your location for rates and availability! All lessons are weekly: Payable monthly in advance. Academic tutoring is billed weekly at the end of each week. There are no registration fees, and you can discontinue at any time with 24 hours notice. 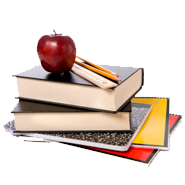 An instructor may recommend a book or other teaching materials for the student to purchase in addition to the monthly cost of lessons. The instructors of Teachers 2 Go greatly appreciate all of our students and sincerely wish to meet or exceed their expectations in helping them with their goals. There are no refunds for canceled appointments or scheduled lessons. If a student must cancel, every effort will be made to provide a makeup lesson at a mutually agreed time--provided the cancellation is received at least 24 hours in advance.